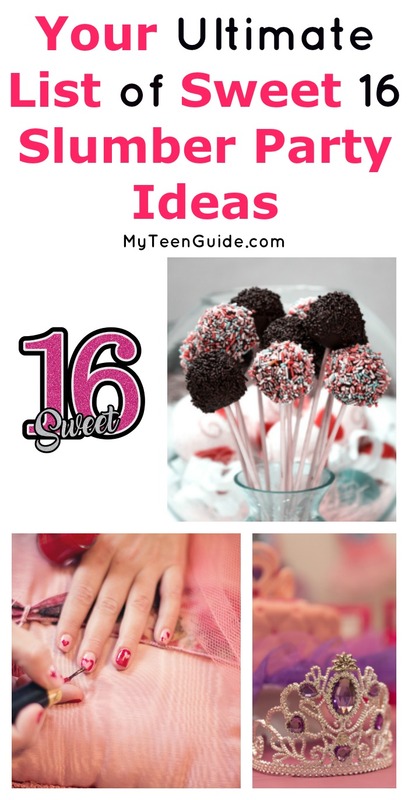 Looking for a budget-friendly idea for a 16th birthday party? These Sweet 16 Slumber party ideas will bring you tears of joy without leaving your wallet sobbing! There are two parties in a girl’s life that have the potential to completely break the bank: your wedding and your 16th birthday! Fortunately, you usually have a good amount of time to recover from the second before planning your first! I was curious about why 16 is such a milestone birthday, so I did a little digging. Aside from the fact that it’s the legal driving age in most states (hello, independence! ), it also used to be the age of consent to get married. Hmmm, I guess back in the Little House days, that sweet 16 and wedding party weren’t so far apart! Whatever the reason, there’s no denying 16 is quite the exciting milestone! Of course, that doesn’t mean you need to go broke throwing a bash! These sweet 16 slumber party ideas are totally budget-friendly yet still super fun! This post contains affiliate links. If you make a purchase, we earn a commission at no extra cost to you. Don’t miss out: Shop Now and Get Birthday Party Supplies With Free Shipping On Orders $69+! 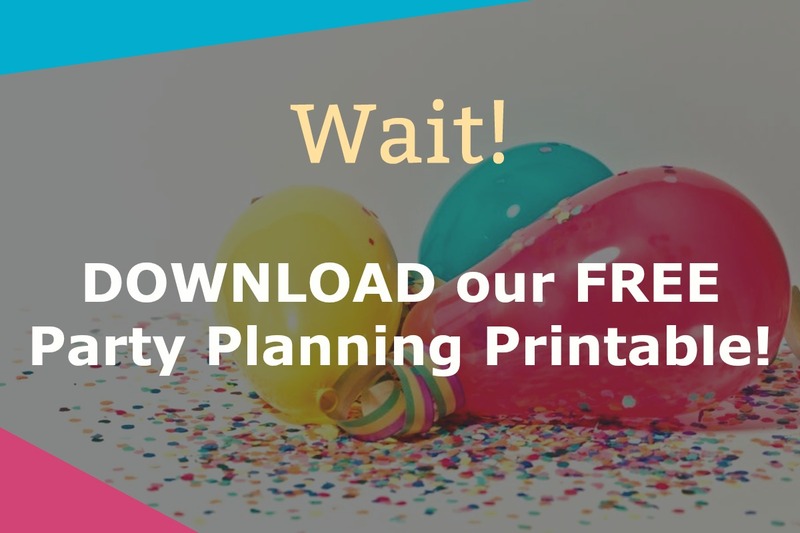 Choosing invitations for your Sweet 16 slumber party is an important first step to the party planning process! Announcing It features over 100 different styles of Sweet Sixteen Birthday Invites, which are completely customizable! Greetings Island features an array of Sweet 16 Birthday Invitations, which can be printed or shared online! Paper Style features over 100 different styles of Sweet 16 party invitations, which are customizable! Zazzle features tons of Slumber Party Invitations, which can be customized! One of the great things about throwing a slumber party: you don’t have to go super crazy with decorations. A few little touches, like a special banner or balloons, is really all you need. Save the rest of the money for the fun stuff, like your menu or entertainment! 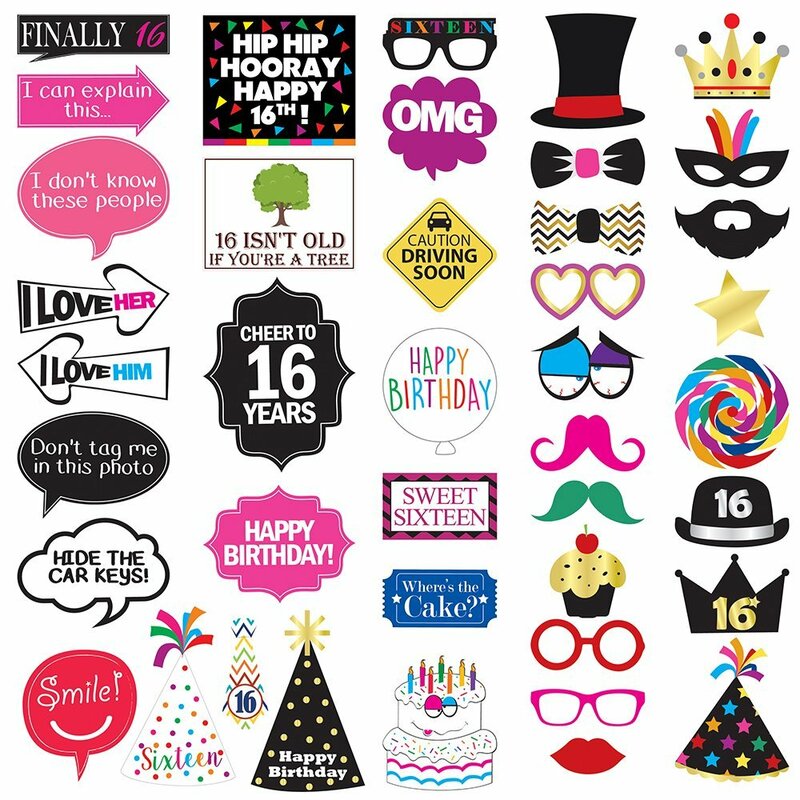 If you’re planning to have a photo booth, grab these Sweet 16 photo props from Amazon! Party 411 has this stylish Sleepover Sign-In Board, where party guests can leave a message for the birthday girl. The board measures 2-feet by 3-feet and is customizable. Amazon features this cool Sweet 16 Birthday Party Pack , which comes with a banner, gold balloon, pink & gold shiny swirls and pink tissue paper pom-poms. For your party tableware, you can choose from a Sweet 16 theme, a slumber party theme, or a girly theme. Really, anything goes here! Amazon has this Pink Bandana Tableware Party Bundle for 16, which includes dinner plates, luncheon napkins, paper cups and table cover. If you’re planning a movie night to go along with your slumber party, you won’t really need to decorate a huge dining room table. Consider putting a folding card table in the living room so guests can snack as they watch movies. Food alone can make or break a party! When it comes to food ideas for your party, think finger foods and foods that are fun but easy to eat! Betty Crocker has a recipe for Crescent Nacho Mini Cups, which are bite-sized pastry cups filled with bean dip, cheese and green chilies. Saving Room for Dessert has a recipe for Buffalo Chicken Roll Ups, which are made with chicken tenders, hot sauce, blue cheese dip, crisp lettuce and diced celery. Mindy’s Cooking Obsession features a recipe for BBQ Pulled Pork Sliders, which makes 18 to 24 sliders. Babble has a recipe for Beef Taco Pop Tarts, a delicious recipe made with beans, corn, ground beef and shredded cheese. 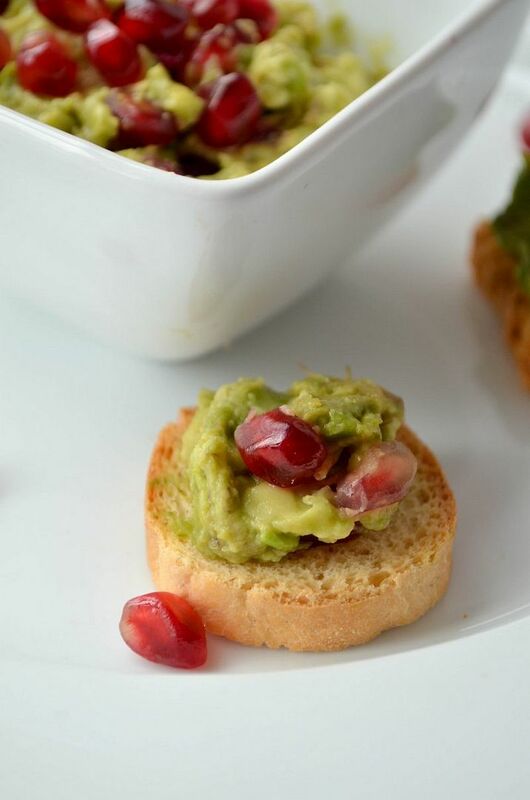 OurFamilyWorld has a delicious pomegranate guacamole dip that your guests will love. Half Baked Harvest features a recipe for Buffalo Cheddar Chex Mix, which contains Chex Mix cereal, peanuts, pretzel nuggets and pita chips. Snappy Gourmet features a recipe for Cake Batter Truffles, a delicious, easy, no-bake recipe. This makes a simple yet fun dessert! Don’t forget about the next morning! I love the idea of a Gourmet Breakfast Buffet. Once the party guests wake up the next morning, have a gourmet breakfast buffet set up for them. 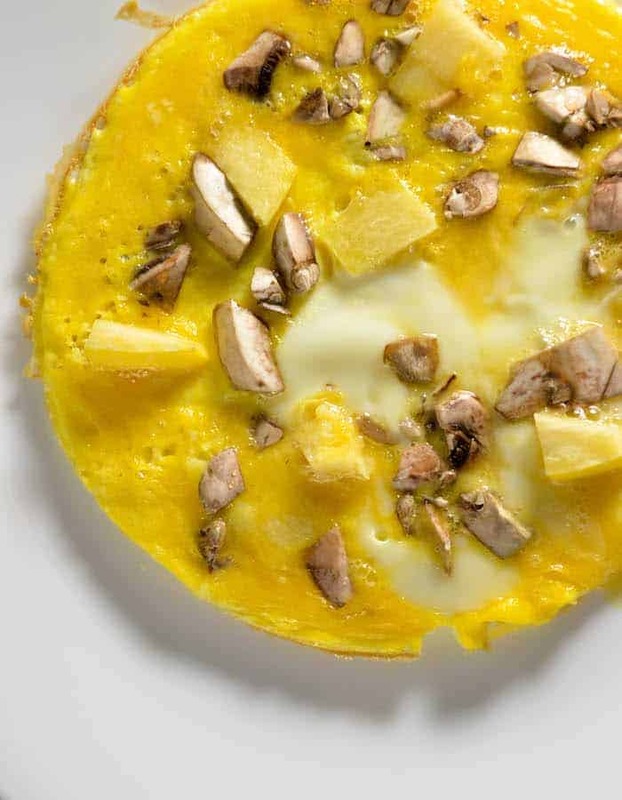 The breakfast buffet can include any or all of the following: bacon, ham, sausage, fresh fruit, cereal and milk, bagels, donuts, muffins, omelets, pancakes, waffles, hot chocolate and juices. Movies are likely to be the heart of your slumber party, but there are an array of activities and games too! Movies– Watching movies is a great slumber party activity. Need a few ideas to get you started? RELATED: Check out more fab sleepover movies! A Mani/Pedi set , especially if you did manicures and pedicures during your party. Mason jars filled with mints or other candies. Spray paint the mason jars with matte paint in your theme colors before your party, then let them dry before filling. You can also use the painted jars for other small gifts, or fill them up with DIY bath salts. Have you ever thrown a sleepover? Share your Sweet 16 slumber party ideas below!